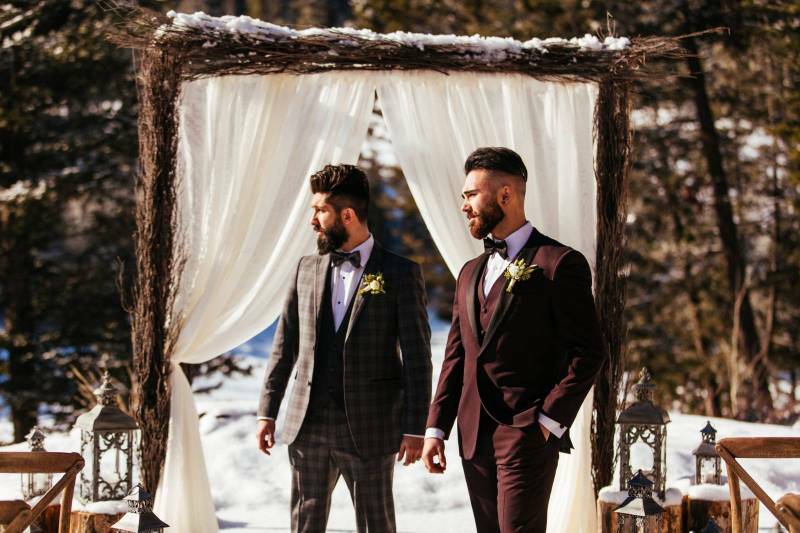 Today we are excited to share images from an amazing photo shoot and collaboration with an incredible team of Calgary and Canmore/Banff wedding vendors over at Stewart Creek. This was a chance for our team to showcase a range of incredible hair and makeup styles and create some absolutely stunning images for you. We hope you love the inspiration and beauty! As a Banff hairstylist and makeup artist, our team worked with the gorgeous models to create looks ranging from bohemian to elegant. We created several incredible modern updos, natural loose curls, soft braids, and incorporated a mix of veils - you'll want to make sure you don't miss any of the images. Our first look is a set of gorgeous, mermaid curls finished with a long, simple veil. Curls seem like a very simple hairstyle, but getting your curls to look and feel natural while lasting throughout the entire day isn't something you can easily achieve on your own. Our team has been working with hair of all different lengths and colours to perfect the loose mermaid curls that so many of our brides ask for. We created an amazing braided crown updo for our second look - this has become a hairstyle that many of our brides request as well (it's also known as a halo braid or milkmaid braid). The braided crown is loose and natural and we kept the makeup soft to fit with the entire look. The third looked showcased an incredible updo with loose curls framing the face to add more texture and depth to the hair. We showcased this look with a modern veil and without so you could see multiple ways of wearing such an updo. The makeup for this look was dramatic and dark in order to create the extra elegance and boldness we were looking for. Lastly, we showcased a voluminous and dramatic veil with a side-swept hairstyle for the bride looking for a style that is elegant and striking. 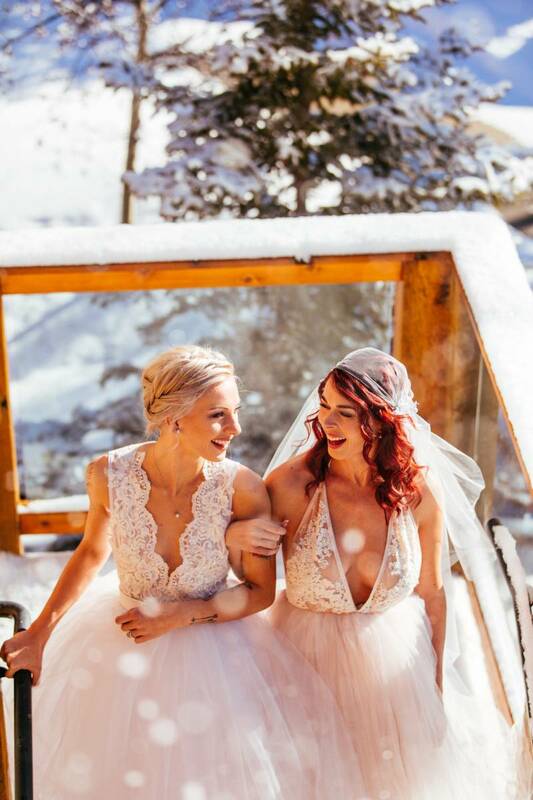 And if you're looking for a Banff makeup artist or hairstylist be sure to get in touch with Mountain Beauties today.